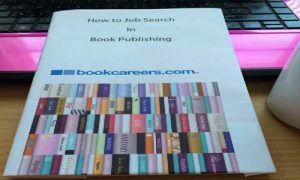 We wanted an independent review of our ‘How to Job Search in Book Publishing’ course, so we could think of no one better than the former Literary Editor of the Independent on Sunday, who recently was in transition, to come and assess the course for us. We have not edited the review in any way; we copied and pasted the exact words Katy Guest emailed us. 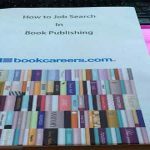 I wasn’t sure what to expect from a course on How to Job Search in Publishing. The answer was: a lot. Suzanne obviously has a great deal of in-depth knowledge about the publishing industry, as well as connections at many different publishers. She was able to share what she observes about trends in publishing jobs and recruitment, what employers are really looking for, and how to connect with them, and that was hugely valuable. I have recently attended an Outplacement Training Course which also gave useful advice on job searching, CVs and job interviews. 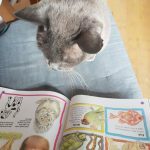 What was unique about Suzanne’s course was that it was completely tailored to the publishing industry and all of the particular roles it offers. Suzanne was able to give impartial advice about applying to different publishing companies and how various job titles work together within them. She made her information relevant to each of the individuals on that day’s course. Because it was a small class, we were all able to have one-on-one sessions with Suzanne. 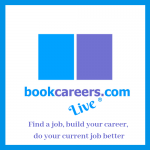 She showed me how to improve my CV in ways I hadn’t considered, and was able to give me specific guidance about my own, unusual situation – moving from newspapers into book publishing. I also feel that I have made some useful contacts in the publishing industry among my fellow course attendees. In addition, the lunchtime sandwiches were just right, and the cookies were a nice touch, too! I have come away from How to Job Search in Publishing feeling considerably more positive, with a lot to think about, all of it on handy worksheets in a sturdy folder. If I have a regret, it’s that I didn’t take this course six months ago.